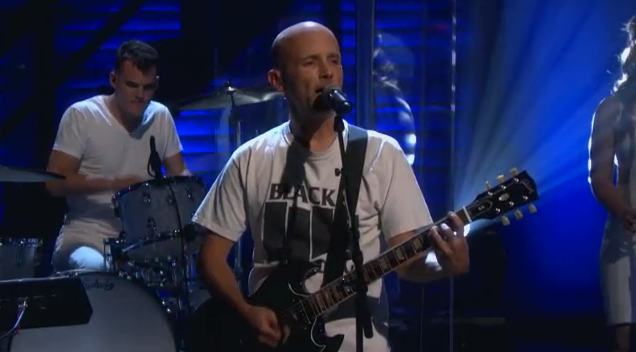 Performs "The Perfect Life" and "Almost Home"
With his guest-heavy LP Innocents seeing release today, last night Moby kicked off the celebration a bit early with a performance on Conan. Wearing a Black Flag t-shirt without his signature spectacles and flanked by a number of white-clad backing musicians, the veteran artist performed a Wayne Coyne-less rendition of "The Perfect Life" for the audience, bringing out songer/songwriter Damien Jurado for a web-exclusive performance of "Almost Home." Click below to watch.